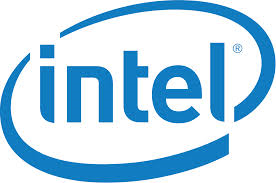 Intel Corporation (NASDAQ:INTC) is hoping to increase workplace diversity by an initial goal of 14 percent slot for underrepresented and minority groups within its workforce by the year 2020, and the company is going to allocate a $300 million funding for the program. In a phone interview with The New York Times, Intel CEO Brian M. Khrzanic said that “this is the right time to make a bold statement.” The company has formally announced its workplace diversity plans on Tuesday at the International Consumer Electronics Show. Civil rights leaders have recently been prodding big technology companies such as Microsoft Corporation (NASDAQ:MSFT), Apple Inc. (NASDAQ:AAPL), and Google Inc (NASDAQ:GOOGL) to work towards an increased representation of minority groups such as women, blacks , and Hispanics within their respective workforce. Khrzanic, speaking at the CES, noted that “this is going to be difficult to achieve,” but added that Intel Corporation (NASDAQ:INTC) is intent on achieving full representation of minorities and women within a five-year time frame. The $300 million allotment, according to Khrzanic, will be channeled to non-profit groups and educators for the purpose of building up representation of minorities and women at the tech and video game company. “I invite the entire tech industry to join us,” Khrzanic said at the CES, noting the intention of Intel Corporation (NASDAQ:INTC) to lead by example. He said that compensation of Intel executives will be tied to the progress towards the workforce diversity goal. The company’s most recent filing, covering year 2013, indicates that its own workforce is composed of 76 percent men and 24 percent women. Whites account for 57 percent of the total, while Asians account for 29 percent. Hispanics and blacks account for 8 percent and 4 percent, respectively. Leadership positions are most noted for small representation of women and minorities. Civil rights activist Jesse Jackson, who is well known for advocating workplace diversity, welcomed Intel Corporation (NASDAQ:INTC)’s announcement, noting that the company is above what other tech companies are doing regarding the issue. He commended Intel for setting specific goals, and his Rainbow PUSH Coalition will cooperate with the company towards the achievement of the diversity initiative.